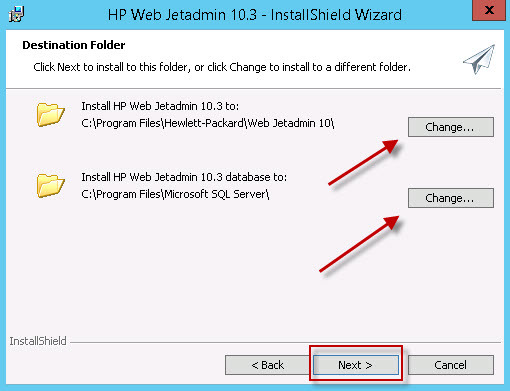 Web Jetadmin installer includes SQL Express Database which will be installed during the installation on the local system. In this example we install Web Jetadmin 10.3 SR7 on a 64bit system using a local SQL Express database. 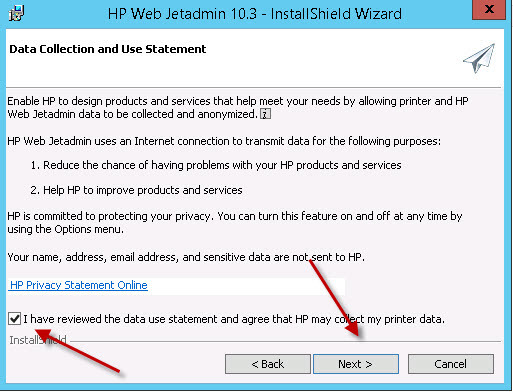 Note if you are planning to use a full SQL Server database internal or external to your Web Jetadmin system you still need to install the software according to this document with local database first then configure it to use full SQL database. 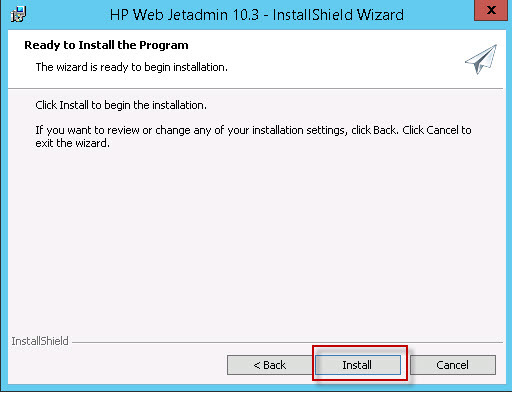 Next choose where to install WJA and its database. If your system has multiples drives for example C: and E: it is a good idea to install WJA and SQL Express on different drives. In most cases this will improve the performance of Web Jetadmin. In this case my system has only one drive therefore I leave it as is. In next window you have the option of changing your installation settings. Click the back button if you would like to change any of your settings otherwise click Install to start the installation. The installation will install WJA and SQL express database and display completion message when finished. 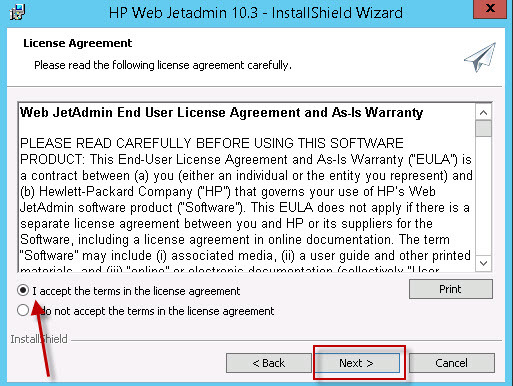 Do not check Launch HP Web Jetadmin as this will slow down the application start process. 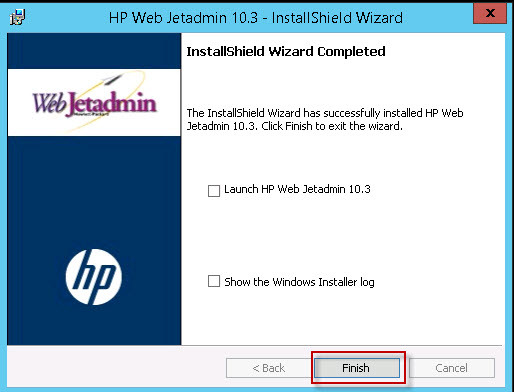 Click finish and wait 10 minutes before launching Web Jetadmin.